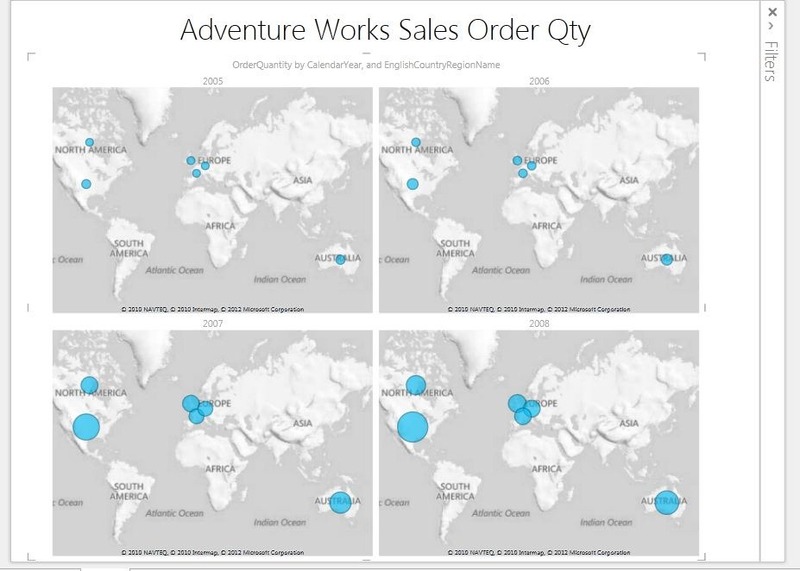 This is my second blog post about the functionality in Power View for Excel 2013 that will show you have easy it is to create map visualizations in Excel 2013. 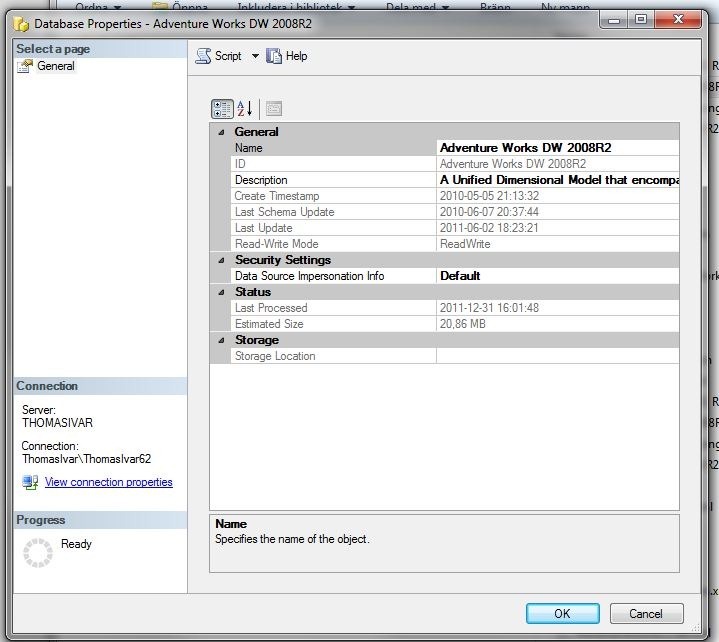 I start with the basic model with relational data from the Adventure Works database with country, calendar year and internet order quantity. What you can see here is a basic tables when you drag the attributes and the measure to the default box in the down right corner. Now we will change this boring table into something more visually useful. Make sure that the table is marked and press the map button in the ribbon. After you have pressed the map button you will see something like this on the canvas. But we can extend this even more. Here is the design tool to the right where I have added CalendarYear to vertical multiplies. The result is this map. The purpose of this blog post is to show you how easy it is to integrate maps into your reporting and change a boring table into something more useful with a few clicks. With a big release like SQL Server 2012 it can be expected to see some new book titles on the shelf next year. Microsoft SQL Server 2012 High Performance T-SQL Using Windows Functions(MS Press 30 April 2012): SQL Server 2012 TSQL have some important additions to this programming language like being able to navigate to previous and next records and running sums, that we in the MDX community know quite well. Itzik Ben-Gan is the writer and that tells me that it is a good book. 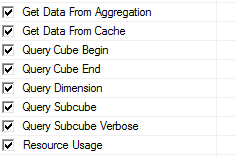 SQL Server 2012 Query Performance Tuning(APress 30 April 2012): This is always an interesting subject and usually is a chapter in TSQL books. No details have been revealed yet about the content. Professional Microsoft SQL Server 2012 Analysis Services with MDX(WROX 30 April 2012). The title hides the fact that this book will cover both BISM Multidimensional with MDX and BISM Tabular with DAX. Applied Microsoft SQL Server 2012 Analysis Services:Tabular Modelling(PROLOGICA, March 2012). Teo Lachev is the author of this book that will describe the self service concept in BISM, how to build applications in Excel and how to publish in SharePoint 2010. There will also be chapters dedicated to BI professionals. Professional Microsoft SQL Server 2012 Reporting Services(WROX 30 April 2012). I think that Reporting Services is the MSBI product with most new features added in each release so it is usually mandatory to buy a new book. This book release will also cover Power View. 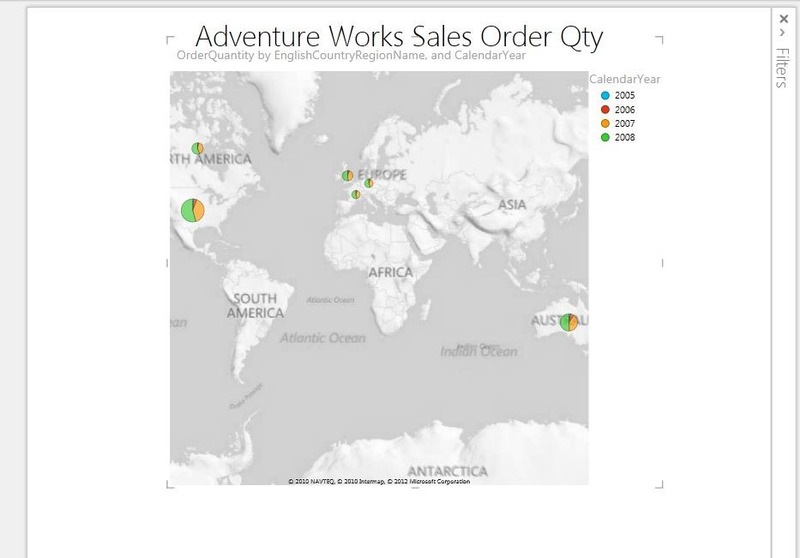 Visualizing Data with Power View(McGraw-Hill Osborne 1 June 2012) This is a book about the new MS SharePoint report buliding tool for BISM Tabular models. Professional Microsoft SQL Server 2012 Integration Services(WROX 11 April 2012). Integration Services in SQL Server 2012 is a major release so this book is also important. I am not sure if it will cover Data Quality Services and Master Data Management as well. Programming SQL Server 2012 (MS Press, 31 May 2012). I would have second thoughts about the title of this book. 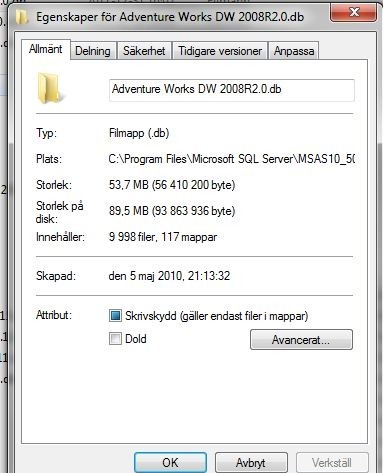 It is not about programming in TSQL which is a book with almost the same title in the SQL Server 2008 version. I can see some MSBI content like integration of data mining into applications, building and maintaining data warehouses and use Excel to build front ends for OLAP cubes. I will probably move this book to a general MS BI 2012 section in an update. Introducing Microsoft SQL Server 2012(O’REILLY/MS Press, March 2012). Half of the chapters in this book will cover MS BI Topics like SSIS, DQS, PowerPivot, SSAS and MDX as well as SSRS. These are the titles that I have found on Amazon this far. I will update this list as soon as I find more interesting titles. A lot on my plate for the moment so I had limited time to blog but since I am back in consulting expect to see more posts here after the end of September. SQL Server Denali is a big release from the BI perspective and I will add my own reflections here but Denali has been commented by al lot of good bI thinkers that I have links to ón my site. 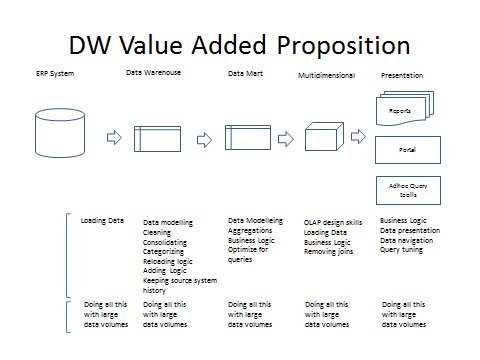 First I think you will here the abbreviation BISM(Business Intelligence Semantic Model) as many times as you have heard about UDM(Unified Dimensional Model) in the past. Our old multidimensional friend Analysis Services, alias UDM, will be called BISM Multidimensional when Denali ships. If you read the product team blog it will still be called Analysis Services and PowerPivot Team blog. What about the news for BISM Multidimensional in Denali? Not much regarding new features except for that you can select to bypass the 4GB string store limit for a cube. This probably comes with a price as usual in the trade off between performance and features as usual in this business. There is no product that comes with good performance and a lot of features even if sales people claim that. The big news can be that this is still the best tool for building really large cubes on top of big data mart. It is not dead and you cannot exchange it for other MS BI servers when you need to construct complex business logic or need to browse large cubes. BISM Tabular is the Vertipaq engine or column store mode for Analysis Services. When you install Analysis Services in Denali you will have to choose either modes, tabular or multidimensional, in the first installation. To add the second mode on the same server you will have to run the installation a second time. BISM tabular is really a server version of PowerPivot for SharePoint outside of SharePoint. You do not need SharePoint to install BISM Tabular or Analysis Services in tabular mode. Some questions arise if you try to install BISM tabular and BISM multidimensional on the same box. BISM tabular is totally memory based so if you need both I would not run that on the same box as BISM Multidimensional or the SQL Server relational engine(RDBMS). In fact I think that you need several separate servers to support SQL Server RDBMS, BISM multidimensional, BISM tabular and SharePoint 2010(with Reporting Services). This will mean some additional decisions regarding in license cost and hardware budgets. It will also add additional complexities regarding infrastructure setups with Kerberos knowledge being mandatory. Why would you need BISM tabular? First it is more flexible than BISM multidimensional. You can deploy Excel 2010 PowerPivot models to BISM tabular so users(or non consultants) with a good knowledge of DAX can build their models in Excel and send that to a an IT departement for further work or deployment. 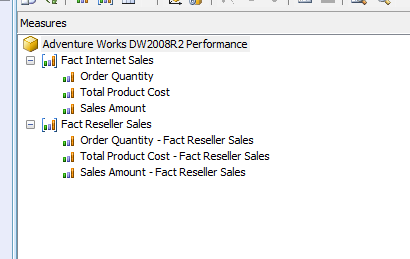 I must admit that it is far quicker for me, as a professional, to build models in Excel 2010 PowerPivot version 2 than doing the same in in BISM multidimensional. In the BIDS for tabular projects the UI experience is very near to building models directly in Excel 2010. I would recommend you to use BISM tabular for dimensions models that requires more changes within shorter time frames than what BISM Multidimensional can offer. BISM tabular models can be queried in Reporting Services with MDX. That can be a way to bypass the SharePoint 2010 requirement and integrate Reporting Services in native mode to other portals. Excel 2010 is also supported as a client and Excel also use MDX to query BISM tabular models. The second pro of using BISM tabular is that it is the only supported data source for Crescent, the new reporting tool in Denali, focused on non IT professionals to build quite complex reports. Crescent use DAX, the query and expression laguage of BISM tabular. This is a killer application for non IT professionals and the first serious attempt from Microsoft to buld a user friendly reporting tool. The backside is the SharePoint 2010 Server requirement for Crescent. DAX is now a limited query language and not only an expression language but without the capacities of MDX. It is like a midget MDX that use functions for the query part. Reporting Servives in Denali and only in SharePoint 2010 integrated mode also have a new event subscription model for KPI changes that the users, themselves, can configure. In TSQL and the relational engine new Windows functions are added for building cumulative values and having the notion of previous record like we had in MDX since the start. 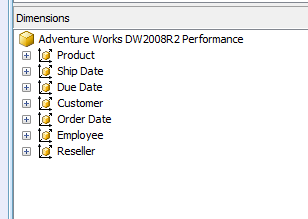 Reporting in TSQL on the relational source will have more capable tools in the Denali release. 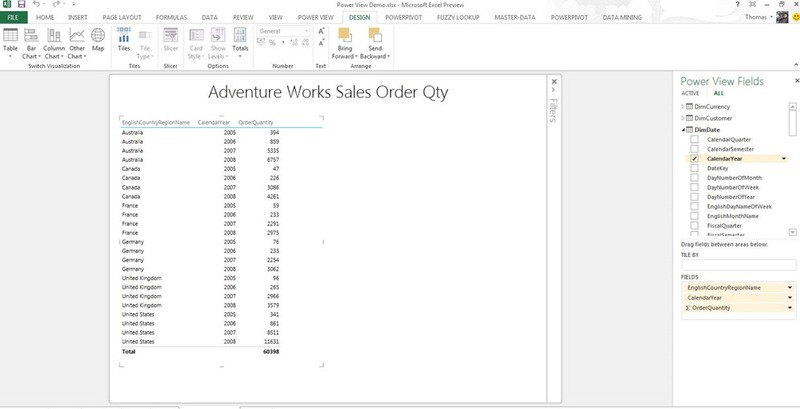 PowerPivot in Excel comes with some great features that is also part of BISM tabular. You can build natural hierarchies in the dimensions tables. There is an ER diagram view where you can relate tables by a drag and drop columns UI, build hierarchies and see DAX calculations. DAX measures can be formated. Another important addition is that some DAX functions have been simplified. As an example is the native DistinctCount() function. No more CountRows(). 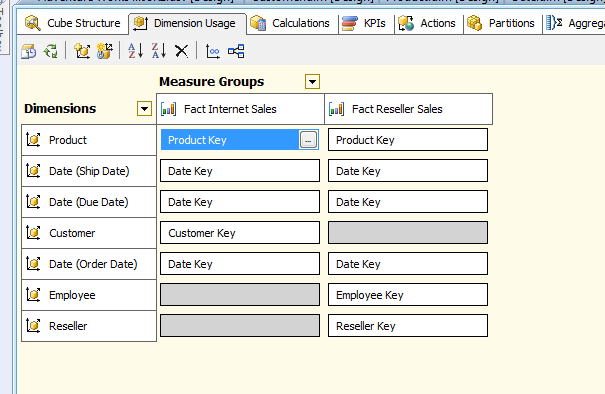 The relational engine in Denali also supports the Vertipaq column store model with special indexes. Vertipaq or the column store is managed by the relational engine query optimizer so adding these indexes to a relational data mart can boost performance of TSQL based reports. I guess that this will make the ROLAP mode of BISM multidimensional even more interesting in the near future. SSIS will be a huge release in Denali but I will have to refer to other good blogs for comments about the improvement in this product. I use SSIS not only for ETL but also for building recordsets for import into Excel when you do not have the time to wait 30 minutes for SSRS to build a report with 50 thousand records. 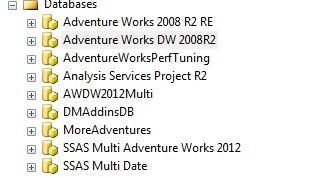 SSAS consultants and management experts are starved with good tools for analyzing MDX queries. We have nothing. Please vote on connect to make a change to this on this link. I have got the email yesterday that I am awarded as SQL Server MVP for the third year. This is a great honour and I will work hard during the next 12 months. My blog has moved from Live Spaces to here since MS will not continue with LS. After the migration a lot of the pictures was not with the proper size anymore and I will have to adjust that. I will also remove older entries that do not serve any use anymore.